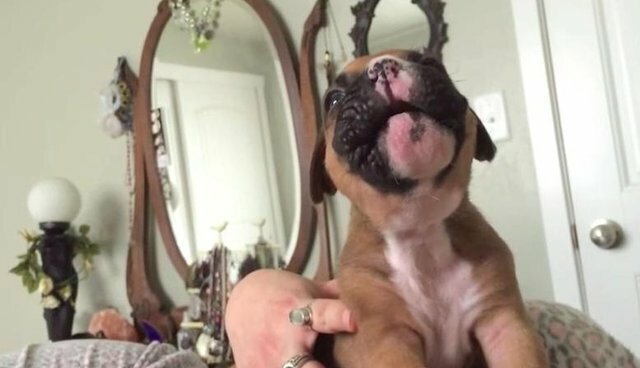 Tobias, a sweet 'n' squishable 3-week-old boxer pup, is getting a lesson in howling from his human, but he can't quite get it right. He keeps making the best little hiccup sounds. All this howling practice is making him sleepy. Dogs howl for lots of reasons. It can mean "I'm nervous," or "I hear another dog," or, in Tobias's case, "I'm the cutest little puppy who ever lived." 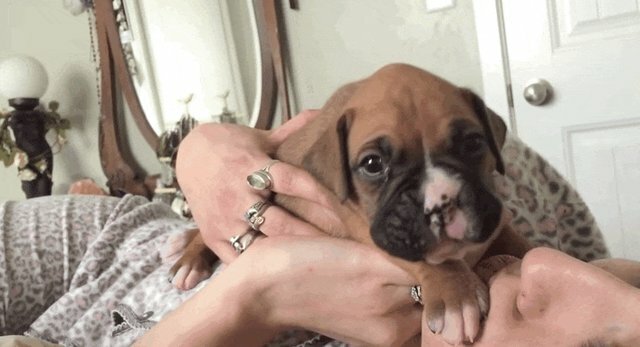 For more aww-worthy pups learning to howl, check out this page.